Summer can be tough on vehicles, especially during high temperatures when heat can destroy batteries and stress the cooling system and tires. As a precaution, these vehicle components should be checked periodically during summer to help avoid breakdowns. 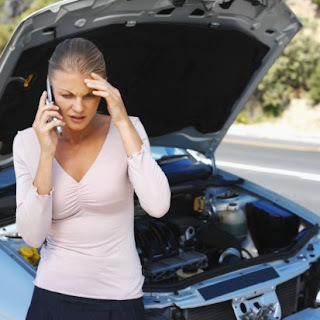 Excessive heat and overcharging shorten the life of a battery. Heat causes battery fluid to evaporate, which then damages the internal structure of the battery. A malfunctioning component in the charging system, usually the voltage regulator, allows too high a charging rate, which will eventually destroy a battery. To get the most life out of a battery, have the electrical system checked to make sure it is charging at the correct rate. If your car’s battery is the type that needs to be topped off (rare nowadays), check it often, especially in hot weather and add distilled water if necessary. Keep the top of the battery clean. Dirt can become a conductor, which drains battery power. If corrosion accumulates on battery terminals, it becomes an insulator and inhibits the current flow. The cooling system also works harder during hot temperatures to prevent overheating of the engine. To keep the cooling system working effectively, the coolant and distilled water mixture for a vehicle’s radiator should be 50:50. AS A REMINDER, NEVER OPEN A HOT RADIATOR CAP TO CHECK COOLANT LEVEL. Most vehicles have a coolant reservoir that can be safely checked. As a rule of thumb, the coolant should be changed annually on most vehicles. This will keep the cooling system fresh and clean inside, which helps to prevent corrosion and rust, and assures that the coolant has the proper boiling point and protection. A pressure test, thermostat test, a cooling fan test and a visual inspection for leaks and corrosion should also be done annually. Hoses and drive belts should be checked for cracks, bulges or frayed edges. The radiator should be kept clean by periodically using a garden hose and a soft brush to carefully remove bugs, dirt and debris. And one last note...the vehicle’s exterior can be damaged by the summer extremes including sunlight, UV radiation, acid rain, dirt, and air pollution. To protect the paint and finish, vehicles should be washed weekly and waxed every six months. If you already have damage, stop by for a free estimate from our full service body shop - Coppell Collision Repair. It has been seen that in a hot temperature the cars tire burst. Always monitor tire pressure.Thanks for your great post.surely your tips are very helpful for drivers.